The prime minister of Samoa, Tuilaepa Sailele Malielegaoi, has described the decision by Fiji's junta to impose a media decree on local media as "astoundingly predictable." In an interview with Tupuola Terry Tavita, the editor of the Samoan government newspaper (Savali) that appears on Pacific Scoop, Tuilapea says the recent actions of the illegal government "comes straight out of the I-want-to-be-a-dictator rulebook." It's being reported self-appointed prime minister, Frank Bainimarama, has given him and his government immunity under another decree. Tuilaepa says the rule of thumb is not new. “We’ve seen it with the abrogation of the constitution, the disbanding of Parliament, the takeover of Police, the sacking of the judiciary, the dismissing of the council of chiefs and even the bullying and sidelining of the Methodist Church. Now with the silencing of critics and the declaration of legal immunity, it’s all very predictable. The regime is digging in for the long haul. And he says Fiji could easily hold free and fair elections next month if Commodore Bainimarama wanted it to. "It’s the only way he can respectably bow out of the predicament he’s got himself into … give the country back to the people. Besides elections are fun, very liberating." Now, he sounds like a really good bloke. Maybe I'll have my next holiday in Samoa - I'm certainly not going back to Fiji for a long while! Samoa's PM is spot on about dictators - only the names and locations change. Very refreshing, a leader who says it like he sees it for a change. No beating around the bush. Well done...if only Baini would listen. For someone who has been Prime Minister of a country for more than 10 years, that sure also qualifies as having reached the position of Dictator of a country in my opinion. 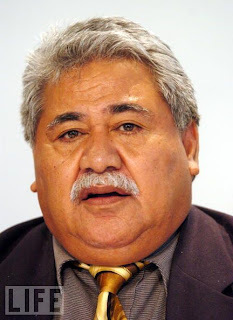 Tuilaepa Sailele Malielegaoi should stop criticizing Bainimarama because every time he opens his mouth, he is exposed as a tool for Australian and New Zealand agenda to have hegemony over the Pacific island states. This guy is a sellout of Pacific brotherhood and sure acts like a prostitute, selling his country's soul and sovereignty away for 30 pence. No one is stopping Samoa from going ahead and compete with Fiji. With a population of just over 100 000, they surely can try. Let's see where it ends up. 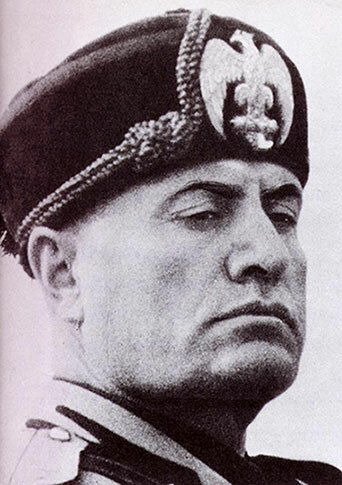 If your opinion is that being Prime Minister of a country for more than 10 years qualifies as having reached the position of Dictator of that country, then your understanding of the word 'dictator' is deeply flawed. Margaret Thatcher was PM of the UK from 1979 - 1990 and did so by dint of being succesful in 3 successive elections. There are numerous similar examples from around the world - Samoa being one of them. (Budhaus) of this world - simple common logic baffles them. If your uphappy with your motor mechanic you change - same with your doctor - or anybody else? Democracy is not perfect - but it does offer freedom of expression - accountability & transparency regarding those who govern us. 3. Attempt to argue this point without any reference to evidence or reality, then attack the responders for their morals. Stupid really, but the whole point for "TheMax" is to distract readers from the reality that Bainimarama has now set up the tools and people for his regime and is in the for the long haul. Elections in 2014? It is all a cruel lie - he will only have elections where he can be certain that HE or his best mates will win. Nothing less will do for a criminal guilty of treason. Make no mistake, Fiji is under the rule of a dictatorship and we should all be very very concerned and appalled at the denigration of our rights, our home and the people. The problem with people like you is that you talk as if you are Bainimarama himself. If you are the same Radiolucas who always comment at the discredited Raw Fiji News blog, you just as discredited as them. you think you know something but really you don't know anything. Stop saying max is Bhudau. Bhudau is not an idiot. Good grief! The green goons have let Pepsi max out of the guardhouse again. Full of sugar and little substance, he pathetically tries to cover up the sins of the dictatorship! Thank you Max, for being the idiot you are. Its a great way to go nowdays - not knowing what is good, or bad, up or down, black or white, right or wrong, real or false, but just "follow the leader"
Birds of feathers stick together! !